Iris print causing lots of problems..but thinking I may try a dark turquoise blue as first layer and then still try and use a full colour plate as second? 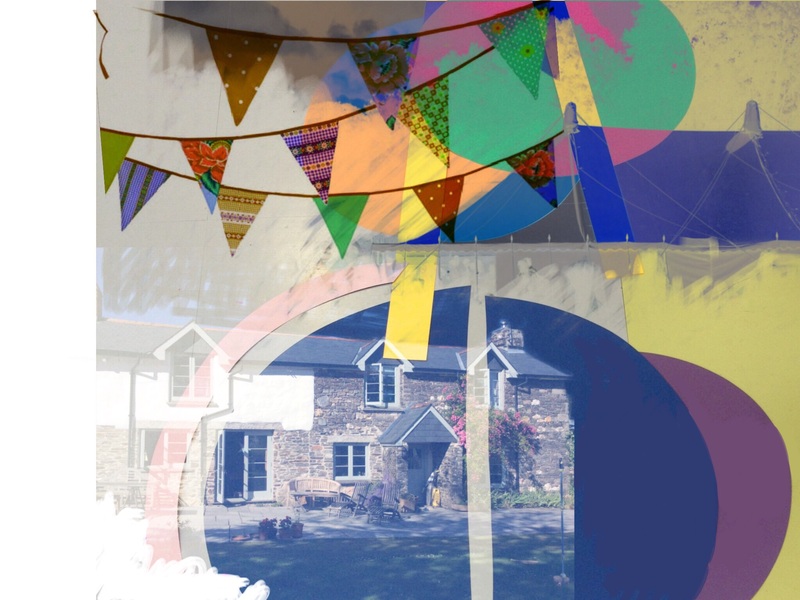 Am interested by colours of bottom right print…so often it’s through experimentation that you can discover new colour ways. 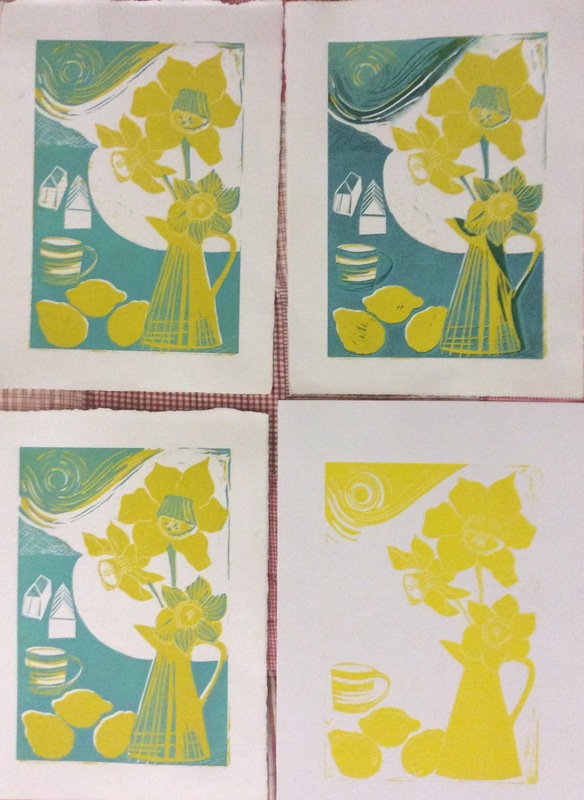 Much happier with the Daffodil outcome….of course an absolute favourite being a St David’s Baby. Will definitely be printing a little series of these.Very pleased with Aqua colour on second plate creating flattened Cornish seascape. 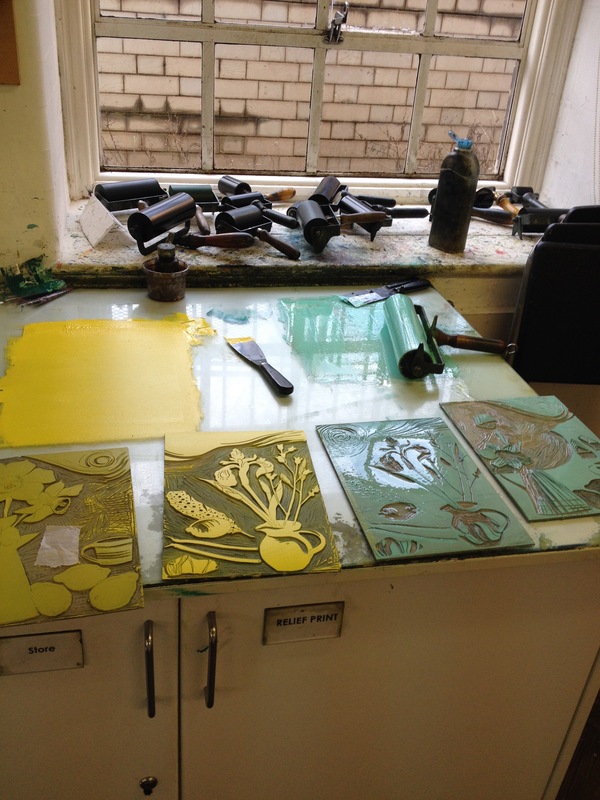 Have started printing the brighter yellow first plate, bottom right, so final outcome will be brighter still! 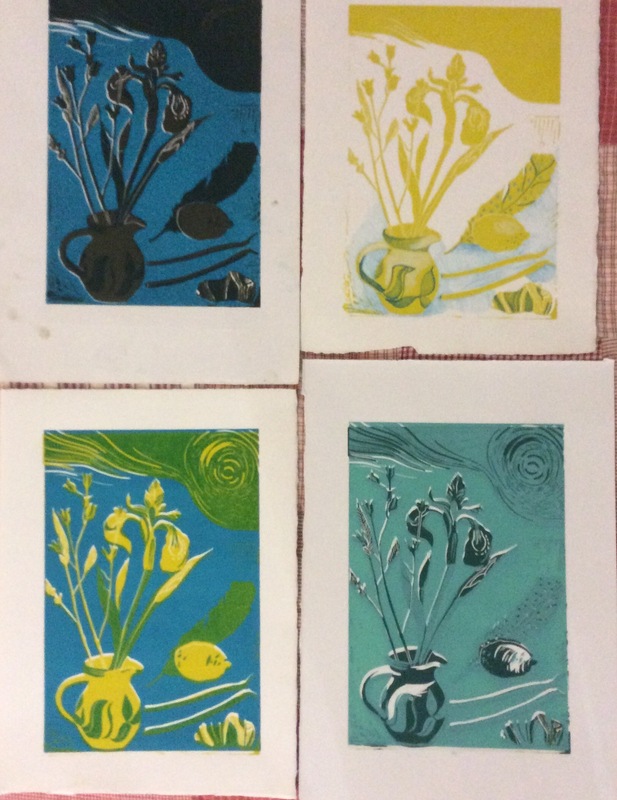 These two new prints will be joining the Agapanthus print as a series of botanicals.